Hi and welcome back to the 8th and finally video in our lesson series on how to draw the human figure. Before we continue, let’s do a quick recap of everything we’ve covered so far. The idea for this lesson series started after I got a bunch of request from subscribers for advice on how to draw the figure realistically. After analyzing the answers, I realized that there was a pattern among all the responses. 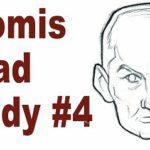 They all seem to agree that most of the problems that beginners experience in figure drawing- like not being able to keep the figure in proportion, not being able to draw action poses and stances, and not being able to make your figures look realistic – is due to a lack of a handful of key fundamental skills. In fact, if you were to learn these key skills in the right sequence, you would be able to avoid many of the common frustrations and achieve success faster. These key skills were human proportion, perspective drawing (as it relate to figure drawing), gesture drawing and the manikin figure, anatomy drawing, and realistic shading. I called this systematic approach “The Figure Drawing Success Formula” and over the course of the series we dove briefly into each of these elements. If you followed the exercises and drew along, you should have seen some immediate improvement in your figure drawing. Hopefully by now, you can see the power and effectiveness of this structured approach to learning figure drawing. But what we’ve learned so far is just the tip of the iceberg and there are a lot more to each of these elements than what we were able to cover in these free videos. This course will be taught by my co-instructor Michael. And in it he’s going to cover all the different elements of the Figure Drawing Success Formula in detail and guide you through the whole process of drawing your first realistic figure. The course will be divided into 6 modules. …we’ll cover the in’s and out’s of human proportion and show you how to draw it from all sides. After going through this section, you won’t have to struggle with keeping your figures in proportion again. …we’ll cover how perspective work so you can use it to draw more interesting and dynamic figures. We’ll go through exercises that will help you makes sense of different types of perspective and apply it to your figure drawing. …we’ll cover not only how to construct the manikin but also how to draw it in different action poses in a way that’s convincing. The manikin is a great tool for learning how to draw the figure from your imagination and in this section, we’ll cover everything you need to know about it. …we’ll cover how to draw the different parts of the body like the chest, stomach, back, arms, and legs. You’ll learn how to draw realistic look muscles and bones and how to add them onto your figures. …we’ll cover how to create life-like shading that will really make your figure leap from the page. 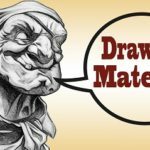 You’ll discover the types of materials to use to achieve the best results, different ways to hold the pencil, and various shading tricks and techniques. …we’ll apply everything we learned to drawing a complete figure. You’ll be able to follow along with Michael as he shows you how to draw your first realistic figure from scratch. And of course, this is just a quick overview. There’s a whole lot more material in the course, that I just don’t have time to go over. Drawing hands can be one of the trickiest part of figure drawing and many artist really struggle with it. 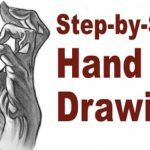 In this free bonus, we will cover how to construct the hand from scratch using simple shapes and draw it in different positions. It will simplify the complex subject of drawing hands and make it accessible to anyone. The feet is an often neglected part of figure drawing and not many books or course cover how to draw them. In this bonus training, you’ll learn the basic parts that make up the foot and how to draw them in different angles and positions. And finally Bonus #3 is my original Shortcuts of Figure Drawing E-book. This is the ultimate artist’s guide to the human body. It has over 1000 beautiful illustrations covering every body parts from every angle possible. Just by practicing drawing the diagrams in this book alone, you would be able to master figure drawing. Many professional artists use this book as a reference when they get stuck. I’ve sold hundreds of copies of this book at $14.95 a piece, but you will get it for FREE as a gift when you invest in the main course. CLICK HERE To Claim Your Copy Of “Secrets Of Figure Drawing”! It will take you to a secured order page where you can fill out your information and submit your order. You’ll also get instant access to the online lessons, so you can get started right way. 100% Money Back Guarantee – Try Everything Out Completely Risk Free! And of course, just like everything that I sell, this course will come with a 100% Money Back Guarantee. …and I do mean ANY reason… just send me a quick email at [email protected] to let me know, and I will be more than happy to refund all of your money back. Every single penny. Even the shipping. That’s how confident I am that you’re going to love this course. Thank you so much for watching. I hope you got a lot of value out of this free lesson series. So once again, this is Ethan for MyDrawingTutorials.com. Have a great day and I’ll see you next time! Hi Ethan, I’m only interested in the online access version of the course, not in the DVDs, due to extreme costs of shipping to my country. Is the price of the “online acces only” (without dvds) the same? or can I have a discount?. Thank you. Firstly, thank you so much for interesting and perfect level tutorials! Good work. Secondly, are these DVDs viewable in Northern Europe (due to the different DVD zones)? Thank you for your question! Yes, these are viewable in all zones. We have many students in all parts of Europe who are able to view the DVD’s without any problem. Hope that answers your question! I would like to have a downloadable course but also receive the figure drawing book also. Is this possible? As of right now, the Figure Drawing course is not downloadable yet. Although, you can access the online version at anytime without expiration. Also, the figure drawing ebook does come with the course, however, it is not a physical book… it is an ebook. I have been getting REALISTIC PORTRAIT DRAWING since Jul y of this year, I received all but the last one (#8). i was wondering if you could send me that last video on REALISTIC PORTRAIT DRAWING. With this version, you can save on the shipping cost. I put in an order just now and never got a confirmation, can you verify for me? Thank you so much! I just sent the confirmation (along with the access link to the online version of the course) to your email. Also, I’ve just shipped out the DVD. It should be there in about 7 – 10 days.